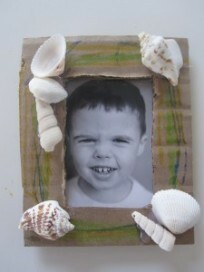 The inspiration for this activity came from my son’s infinite love of all things in the ocean. He was playing with one of the books listed when I asked him what he wanted to make in art and he was very clear that a we needed to make a starfish. Gather your materials. 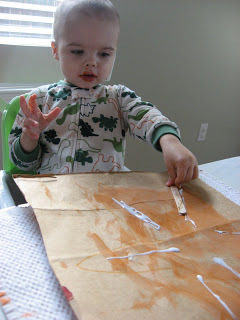 You will need some sturdy paper, I used an old grocery bag but card stock would work too. 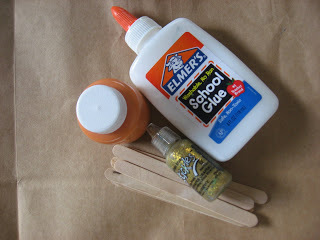 Paint, a paint brush, 5 popsicle sticks, glue and some glitter paint or sequins. 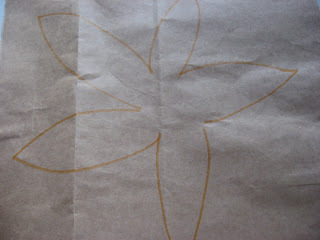 Draw a big starfish. Don’t worry, it doesn’t have to be perfect, mine isn’t! 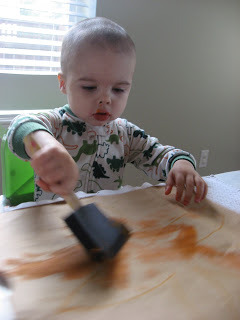 Have your child choose a paint color is they know their colors and paint the starfish. We only used one color but you can use as many as you wish. 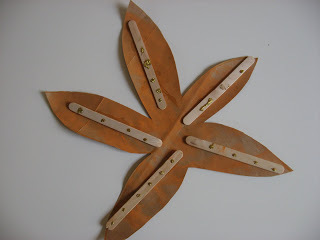 While the paint dries a little , grab the sticks and cover one side with sparkle paint or add the sequins. 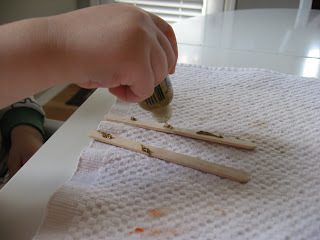 I did one stick and then let my son try , he needed some help but did pretty well. He did two all by himself! Glue the sticks on the starfish, I added the glue and let my son put the sticks on top of it. Let dry and cut out. 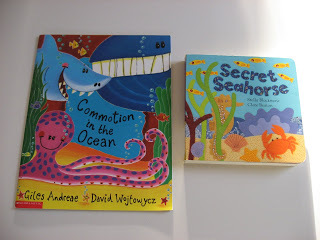 ” Commotion in the Ocean “ by Giles Andreae is a fun look at the different creatures are all cute and informative but not too long for younger children. The illustrations by David Wojtowycz are bright m endearing and I think they steal the show! ” Secret Seahorse” by Stella Blackstone is a fascinating and beautiful board book. 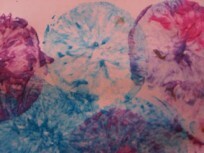 The story follows a little seahorse that hides on each page as it makes it’s way along the ocean back to it’s family. The illustrations are felt, fabric, sequins and other fun and very beautiful hand stitched creations. I am never ready for the next page because the previous has so much to look and marvel at. Kids like finding the seahorse on each page too! Previous Post: Letter of the Week ! M m! Do you own all these books or check out from the library? I own a fair number of them , many are checked out from the library though. I take advantage of the 99 cent book in my neighbors scholastic order as much as possible , and troll garage sales, and thrift stores for the others. I wondered that too! WOW you have a great children’s library!